The clever design means that the bike can easily be folded or unfolded in literally seconds. 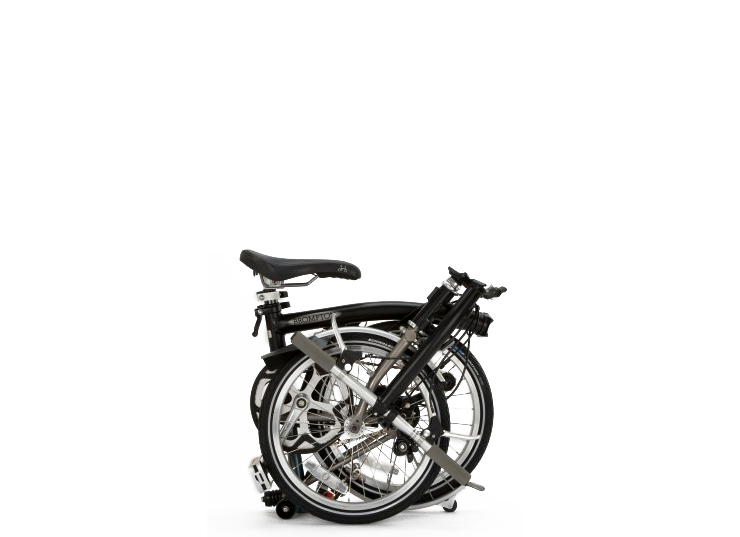 When folded the bike is locked together in a compact package without the use of external straps or latches. It can be carried or towed easily, and conveniently stored almost anywhere. The folded bike fits in an opening 24"x24"x9". 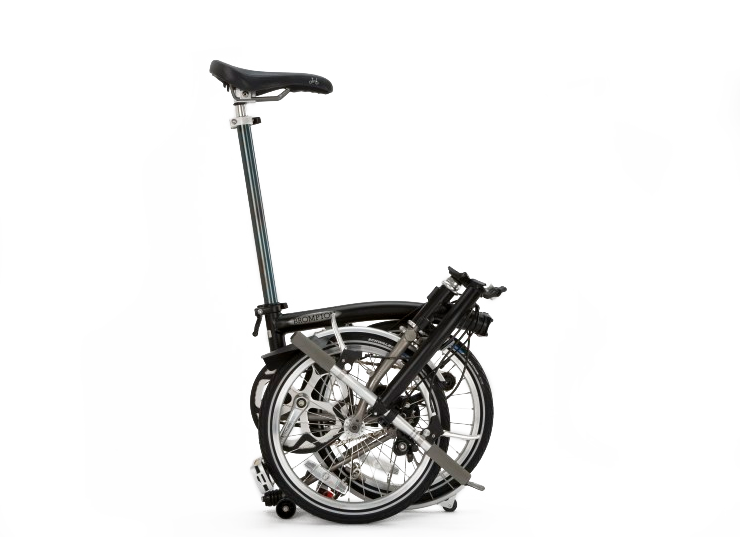 Unfolded, the bike has a wheelbase comparable to that of a standard bike, giving it sure-footed stability on the road. It accommodates riders from under 5' to over 6' tall. S-Type offers a more aggressive sporty position. M-Type a classic moderate cycling position. 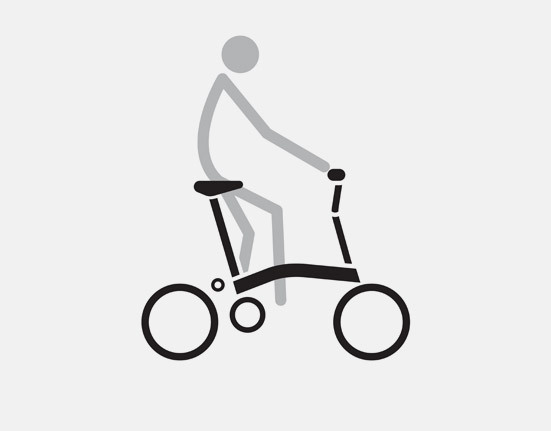 H-Type is great for tall riders or those preferring a very upright ride. P-Type offers the flexibility of several hand positions. The small wheels afford the bike great acceleration and maneuverability, ideal for stop-and-start city riding in traffic. The smaller wheel diameter also increases the strength and rigidity of the wheels. The suspension system and long seatpost make the bike comfortable to ride over rough surfaces and for longer distances. 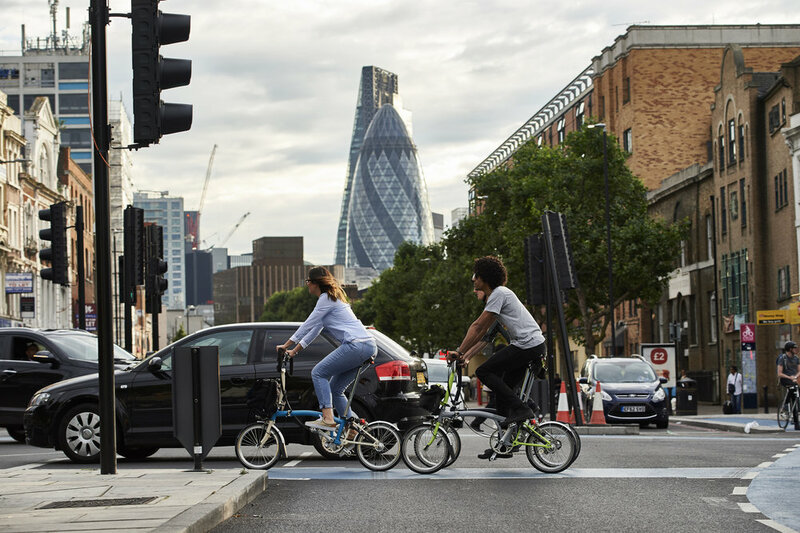 With 4 basic gearing options, plus the ability to adjust the range when ordering the bike, the gearing can be tailored to suit the rider and terrain. From first time commuter to scaling alpine climbs, there is a gearing option for everyone.